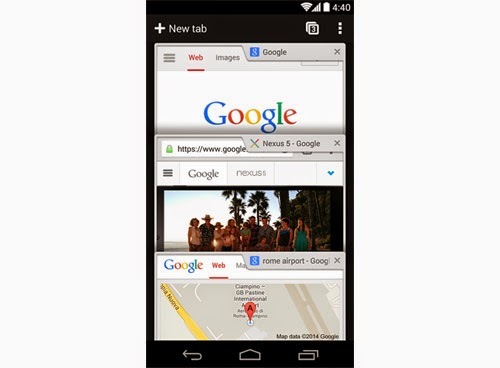 The Chrome browser for Android receives new update, which comes with lots of new features. The new stable version is 35.0.1916.122 and has been made available on May 20, 2014, Tuesday. Users can now download it for free from the Google Play Store, or they can simply update the browser if it has already been installed on their devices. One of the features I liked about this new version is the capability to 'undo' accidentally closed tabs. As an Android phone owner, one of the biggest woes I experienced when browsing the web is when I accidentally tapped the X mark on a tab; it's a hassle scouring my browsing history just to open the URL again. For Samsung Galaxy owners and phones that support multi-window features, the new version is now compatible with the feature. This will surely come in handy to all Note owners.